When will be Tsubasa Chronicle next episode air date? Is Tsubasa Chronicle renewed or cancelled? Where to countdown Tsubasa Chronicle air dates? 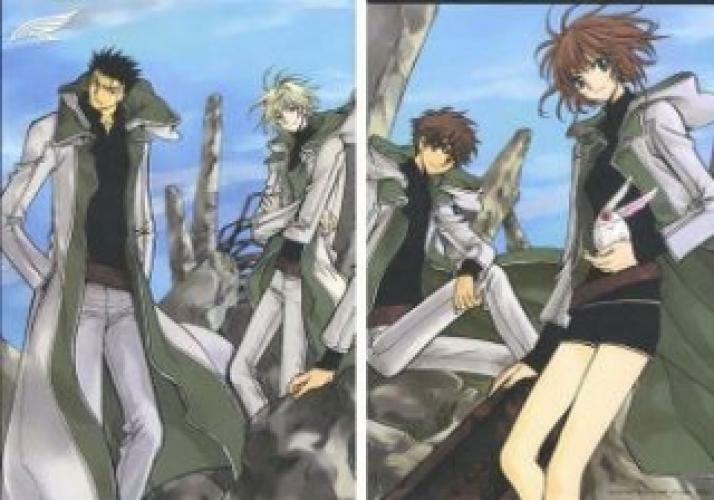 Is Tsubasa Chronicle worth watching? +In the Clow Kingdom, princess Sakura falls under a spell that causes her memories to scatter about the cosmos. Its up to her childhood friend Syaoran to retrieve them before its too late. He is sent to the Dimension Witch Yuuko for help to do this. -In Celes Country, a wizard named Fai D. Flowright has just sealed his king into an deep long sleep. He now flees or else the seal may break. In order to continually run, he goes to Yuuko for help. =In feudal Japan, Nihon era, an unruly ninja named Kurogane is to be taught a lesson about true strength by his princess. He gets sent away to Yuuko so he can learn about this. At first he says he want's nothing to do with Syaoran's quest, but later he becomes their protector. These 4 people come to Yuuko, they must give up their most prized possessions in order to receive a small creature by the name of Mokona Modoki, a creature that has many powers, The group ends up traveling thru many dimensions, even transcending time, to change the future. What awaits them in each wrld is unknown, time is no matter. They end up in worlds ranging from a 19th century-esque world like Jade to futuristic worlds like Piffle, and even end up in worlds where magic is everywhere, like LeCourt. In the Tokyo Revelations world, for the OAV, the group end up in a barren world where only one building stands: the Tokyo Governemt Building. Dangers lurk everywhere from acidic rain to giant sand worms. Can they trust the inhabitants of this world? Where is Sakura's feather located in this wasteland called 'Tokyo'? What ARE Fei Wang Reed's plans for the "other" Syaoran, who's seal breaks? Bonds are tested in the most dangerous world the group has come to yet! EpisoDate.com is your TV show guide to Countdown Tsubasa Chronicle Episode Air Dates and to stay in touch with Tsubasa Chronicle next episode Air Date and your others favorite TV Shows. Add the shows you like to a "Watchlist" and let the site take it from there.